Note: molten solder is extremely hot! Irons heat up to around twice the boiling point of water, so be extremely careful. Wear safety glasses when soldering. For through-hole components in a circuit board, you will want 600-700 degrees fahrenheit. 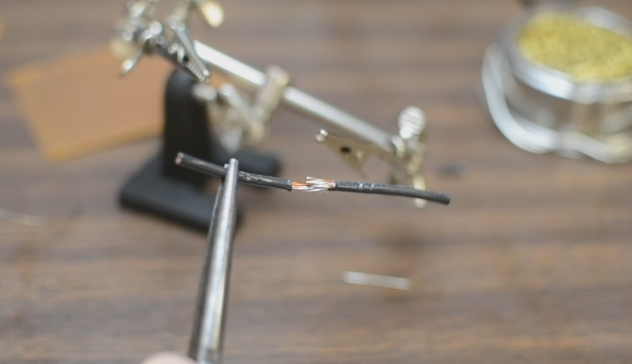 If you’re soldering a larger connections, with more copper that’s dissipating heat, then you may want a slightly higher temperature. With a temperature-adjustable iron you can see what works and adjust accordingly. While your iron is heating up, you can work on making your components stay in place without your help. This is where your helping hands may come in handy. Use them to help you arrange your components to be stable without you needing to hold anything. 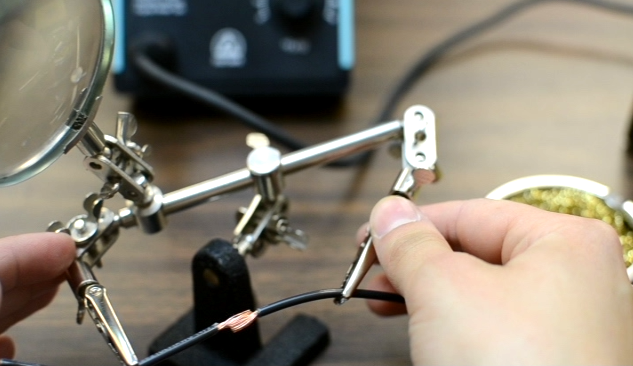 If you’re soldering a through-hole component in a circuit board, you can bend the leads of the component into a V-shape so that it stays in place flush against the board. 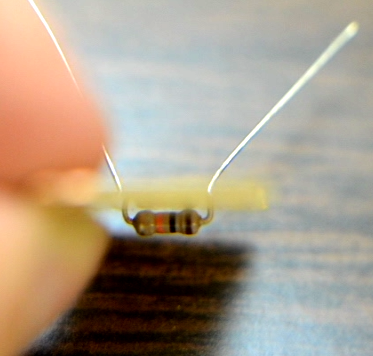 For components without long leads, you can use a piece of tape to hold them in place. You can check whether your iron is close to its final temperature by touching your solder to the end of the iron and seeing if it melts. When you do this, you’ll see some smoke come out. This is not the metal vaporizing, but rather the flux inside of it is burning. Flux is a mild acid that eats away at the oxidation layer that forms on the surface of hot metals. 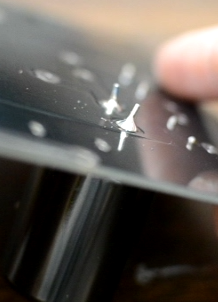 Without flux in the solder to clean your surfaces, you would have a very hard time getting the solder to wet. 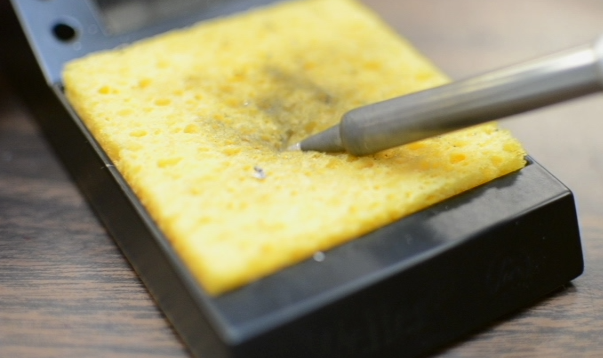 Clean your iron using a brass sponge or a wet sponge to remove any oxidation or excess solder from the tip. Remember to always keep your tip clean while you’re soldering. 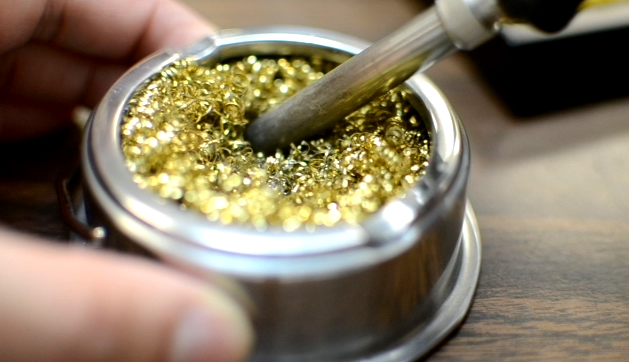 A dirty tip is covered in metal oxides that transfer heat badly and can result in poorly soldered joints. Touch the flat part of your iron’s tip to one side of the joint, while feeding solder from the other side of the joint. The idea is to heat up the entire joint to the melting temperature of solder, so when you touch the solder to the surfaces it melts right on. 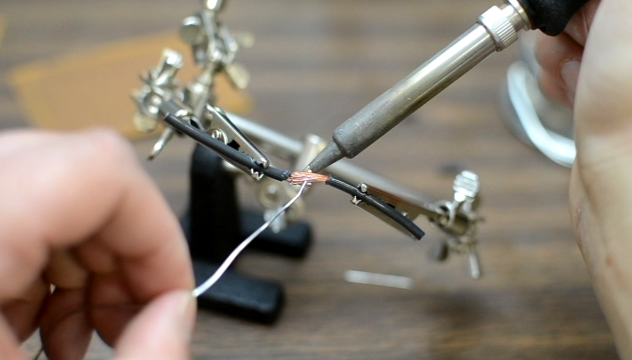 The only way you can ensure a good electrical connection is by letting the solder flow over the components you’re joining. 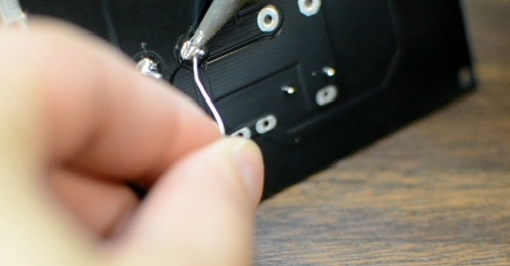 Don’t apply the solder directly to the tip of the iron. For through-hole components, hold the iron against both the lead and the pad. Small joints can heat up within a few seconds, but larger joints can take a minute or two. Keep the joint steady for a few seconds after removing the iron, as the solder needs time to cool. Remember that the joint is hot now! don’t touch it with your fingers right away. The solder should have wetted to both surfaces. 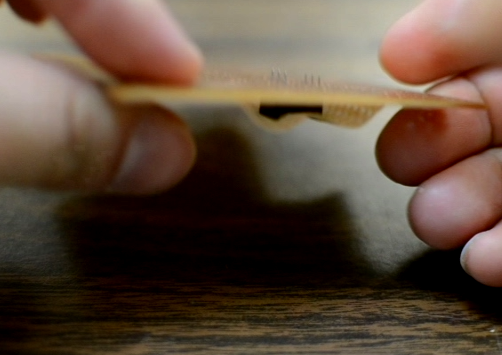 On pads of a printed circuit board, the solder should be covering the entire pad, and it should make a volcano shape between the pad and the lead, indicating good adhesion. Once the joint is perfect, clip the leads of through-hole components. Now that we’ve gone over what to do, let me tell you what NOT to do. Don’t put a blob of solder on the iron and then try to transfer it to your joint. 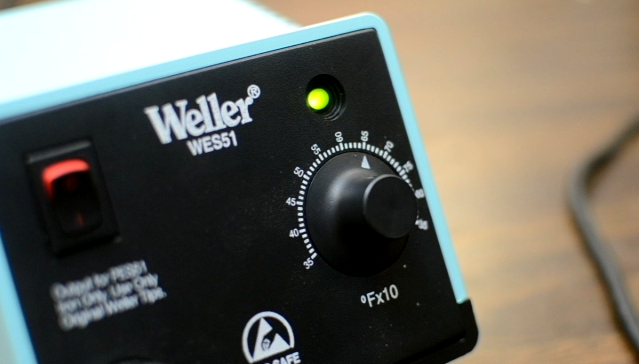 This burns away all of the flux in the solder, which prevents the flux from cleaning the metal surfaces. 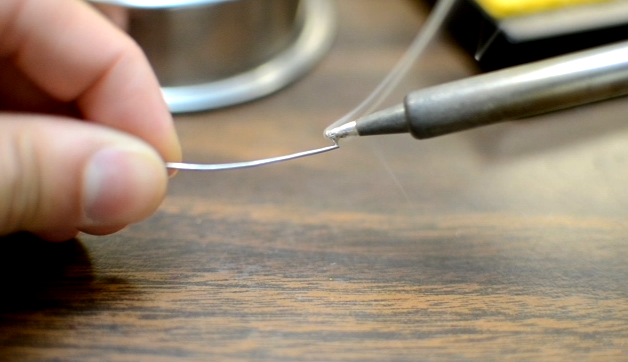 Furthermore, it’s easy to transfer the solder blob away from the iron without actually making it wet to the joint. I guarantee you that this will result in an awful electrical connection, so don’t do it.